Undergraduate students Ms Antara Sanyal & Ms Anchal Tandon of 2012 batch participated in the Divisional round of 29th IAP Pediatric quiz for undergraduates held at Agra on 3rd Sep 2016. They have done SGRRIMHS & Uttarakhand proud by obtaining Second Position, out of 8 participating teams from Uttar Pradesh & Uttarakhand. They surpassed the teams of other Medical Colleges of the state. 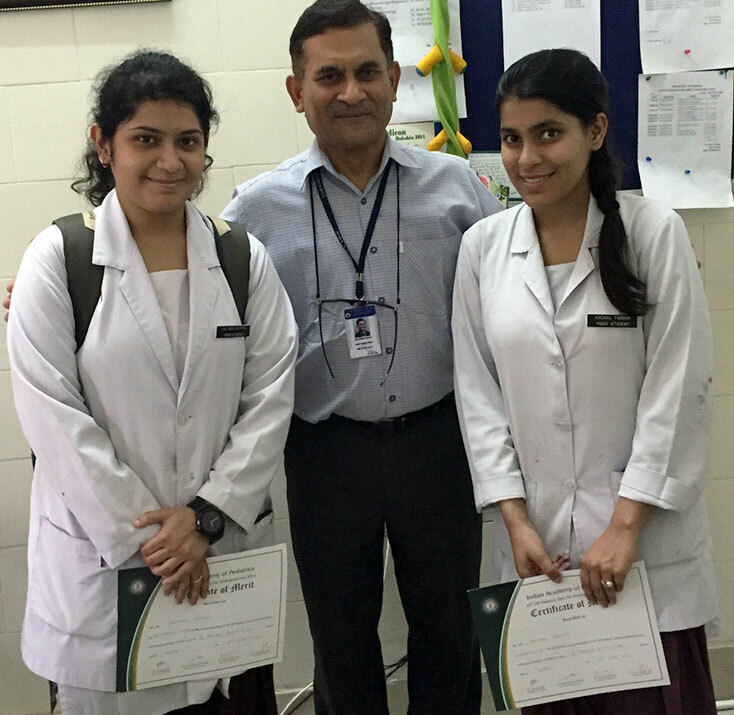 It is worth noting that for the second consecutive year, the undergraduates of SGRRIMHS have done well in the IAP Pediatric quiz. Dr Shruti Kumar & Dr Sandipan Sarkar, faculty of the Depart of Paediatrics, were actively involved in the run up of the students & contributed to the glory.